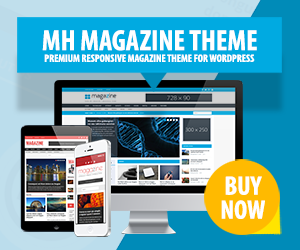 Extra WordPress theme is a template suitable for online magazines and any other editorial websites with lots of content. This magazine WordPress theme is powered by the popular Divi Builder and offers great flexibility when it comes to layout options for posts, pages, archives or the header. You can thus build beautiful pages or posts with an elegant design simply via drag & drop. Furthermore, the Extra magazine WordPress theme includes a working rating system, is fully responsive and compatible with the popular WooCommerce plugin to create nice and professional online shops.